Yogyakarta is rich with fascinating ancient sites and also best known for batik work as well as traditional gamelan music, and of course gorgeous beaches. Whether it’s taking a gondola ride at Timang Beach and heading on to watch the sunset at Parangtritis Beach or exploring the famous archaeological site like Borobudur, Yogyakarta is the best place to get immersed in the local Javanese culture. First-time travellers who are looking for the ultimate tropical beach getaway will also be pleased to know that staying in a good hotel in Yogyakarta won’t put much of a dent in your wallet. You can take your pick from the wonderful, yet affordable options and enjoy the local scene without worrying too much about the budget. 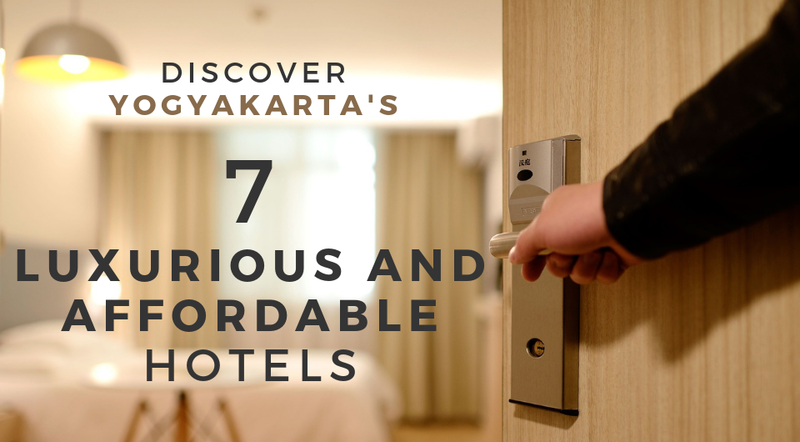 We have put together a list of affordable hotels for your next adventure so you can worry less about where to stay in Yogyakarta! This undoubtedly luxurious hotel is located right within the city where you can have a great time exploring Yogyakarta and visit the best beaches that include Parangtritis Beach and Depok Beach. Hyatt Regency Yogyakarta not only boasts of extravagant accommodation, but this hotel provides affordable options where you will get your money’s worth. Take your pick from the cozy rooms and suites which are designed in soothing colour schemes and come with spacious private bathrooms with the keyword in mind – comfort. Do enjoy the nice garden view from the rooms or even a view of Mount Merapi from some options. You can easily kick back and relax after a long day at the hotel spa as well, or simply enjoy a comfortable stay in a luxurious setting with some nice features such as a beautifully designed river pool. The hotel also has a tennis court and a golf course if you want to enjoy a game or two during your stay. This 5-star hotel offers some excellent affordable options, making it a top choice for that honeymoon or fun family vacation. 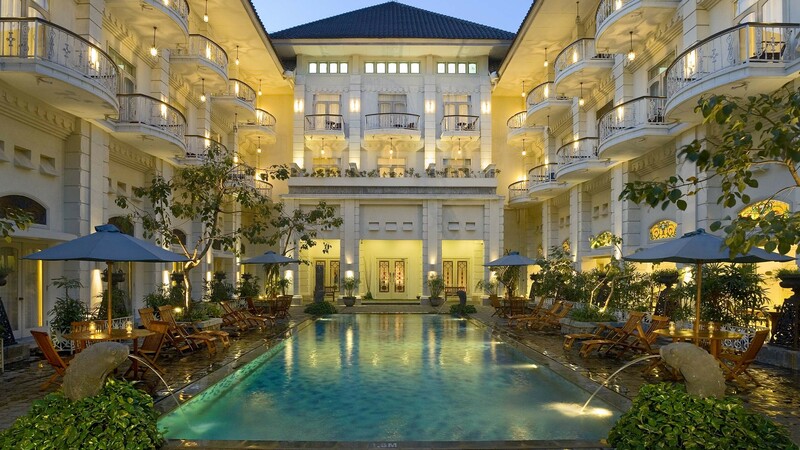 Boasting of three pools and a tennis court, guests can have a great time at Sheraton Mustika Yogyakarta. Not only can you enjoy the great features and facilities of the hotel, but you can also return to a comfortable room after all the sightseeing in Yogyakarta. 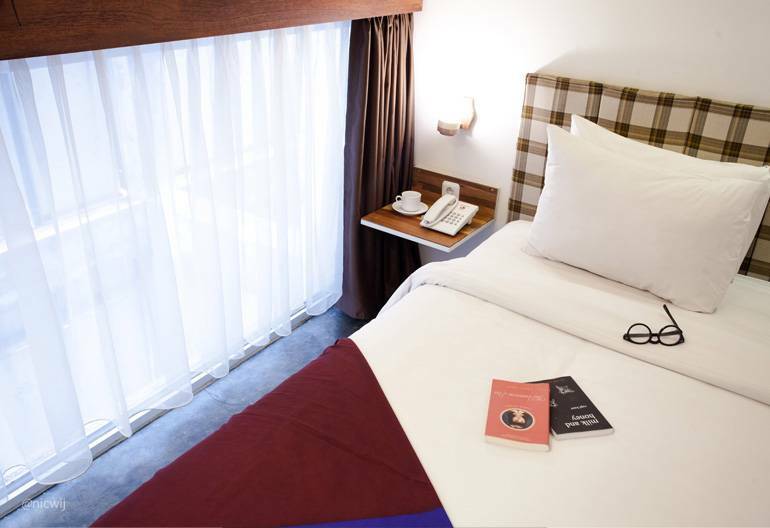 The cozy, spacious rooms on offer are at affordable prices, making this hotel one of the ideal options in the heart of the city. There is no doubt that you can have a relaxing stay - by unwinding after a long day at the Taman Sari Royal Heritage Spa or taking a dip in any of the pools. If you are looking for a hotel that offers a comfortable and unique experience for their guests, D’omah might be your best bet. The spacious villas are designed with traditional Javanese elements and Yogya batiks where you can enjoy a truly serene experience while staying here – especially with the day spa that offers traditional, relaxing treatments. You can certainly enjoy the best of Yogyakarta as well, since the hotel offers temple or beach tours, cooking classes, and more engaging activities. With these features, there will be no room for boredom at all! Of course, you can visit the popular attractions quite easily from the hotel or head down to the beaches in the area - Depok Beach and Parangtritis Beach. D’Omah Hotel is probably one of the ideal accommodation options if you are traveling in a group or with your family. This elegant heritage hotel is a popular option where you can enjoy comfort and avoid breaking your bank – since there are affordable options along with the pricier ones. The location is pretty great too, as you can visit the city’s favorite attractions and explore spots like Malioboro Street. The hotel’s design features a great fusion of European and Javanese design, which you will notice in the comfortable rooms. 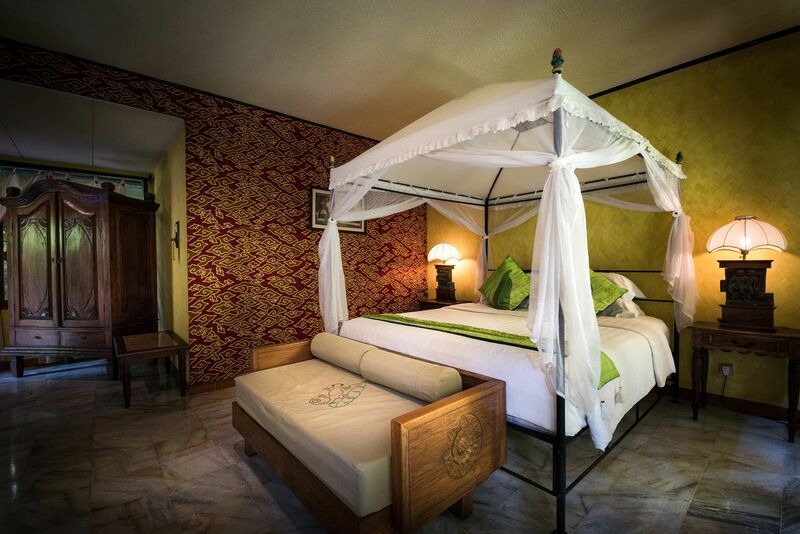 The cozy ambiance of the rooms is perfect if you are looking for comfortable rooms in a beautiful setting. The Phoenix Hotel also has some great facilities including a nice outdoor swimming pool as well as a spa with a range of treatments – which are just ideal for a relaxing experience. Dusun Jogia is another great option for a tropical getaway in Yogyakarta that is located in Prawirotaman and just a short distance from Kraton Palace. 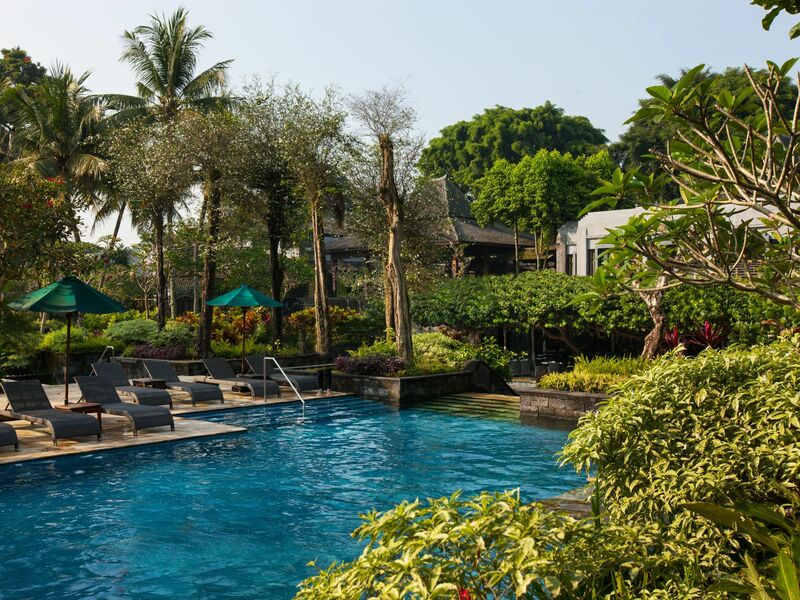 Featuring rooms with a traditional Javanese design and en-suite or open-air bathrooms, guests can also enjoy swimming in the spacious salt-water pool or spend some time relaxing at the day spa. The rooms have a warm, inviting ambiance as well, and are pretty spacious enough for groups and families. You can easily enjoy all this at some great affordable rates and certainly have an unforgettable experience while staying at Dusun Jogja. So, if you are looking for an escapade not too far from the main city - consider staying at this hotel. 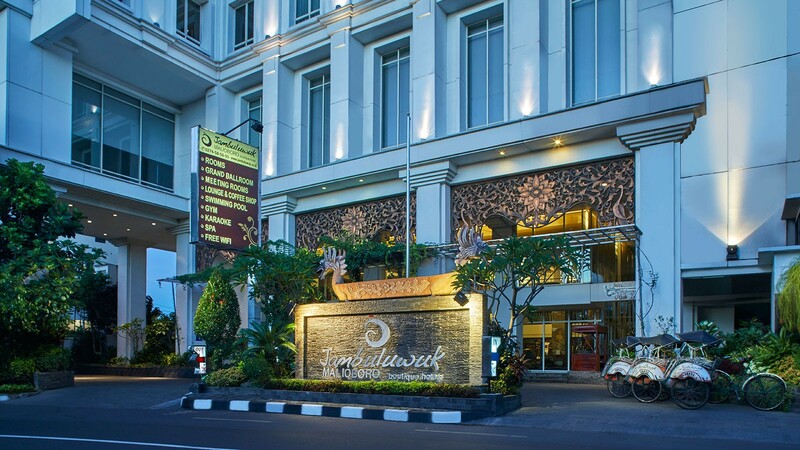 Jamabuluwuk Malioboro Hotel is located in Pakualaman making it pretty convenient when you want to explore the city of Yogyakarta or visit the historical spots in the area. This hotel also has a swimming pool including a spa that offers relaxing treatments and other facilities with reasonable room rates. When it comes to accommodation options, you will undoubtedly enjoy a pleasant stay in the bright, spacious rooms that have both modern design and an Indonesian influence – creating a comfortable setting for you. Since Jamabuluwuk Malioboro is located right in the city, and you can simply reach most of the beaches in the areas within an easy drive. What could be better than enjoying a tropical vacation while taking care of the environment? 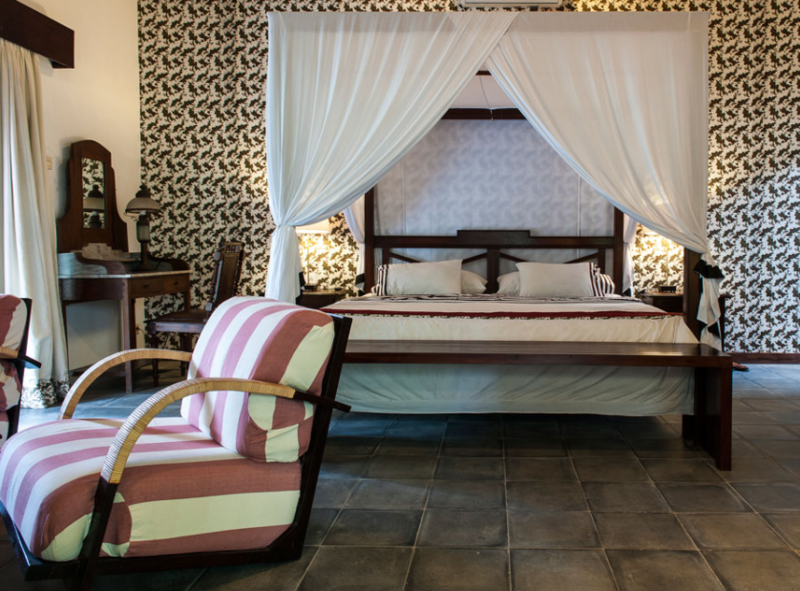 The eco-friendly Greenhost Boutique Hotel features comfortable, modern rooms that are designed with sustainable materials and come with an en-suite bathroom. Some other great features of this eco-friendly hotel include the Green Art Space that exhibits artwork from local artists and even a farming area where vegetables are grown. Of course, there is a large swimming pool and a spa that offers relaxing massages as well. The hotel is almost in the heart of the Yogyakarta, where you can easily get a taste of the local city life, drop by top tourist sites, enjoy a shopping trip at Malioboro or take a quick dive at the beaches. Finding an affordable place to stay in Yogyakarta is not as hard as it seems now that you can refer to the hotels on our list! Start getting ready for a trip to Yogyakarta soon!